Check out these tips to avoid mosquitos this summer. During the summer, you spend more time outdoors. You should know, though, that the humid weather and warm temperatures create the perfect conditions for mosquitos. Not only are they annoying, but they can carry serious illnesses. From malaria to West Nile virus to the Zika virus, mosquitos are transmitters of disease. Take precautions this summer and do your best to avoid mosquitos. 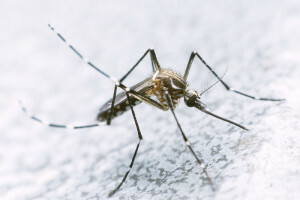 Check out these ways that you can prevent mosquito bites. Be Vigilant During Peak Hours. Mosquitos are active at all times of the day, but there are certain times of day that they’re more likely to bite. Be vigilant in the evenings, especially if you’re near a body of water. Stay inside if possible, or take as many precautions as possible when venturing outside for the evening. Use Plenty of Bug Spray. Insecticides are effective deterrents of mosquitos. However, some bug sprays work better than others. Coat your clothes and your skin with the right spray. Check out DEET, Picaridin, oil of lemon eucalyptus, PMD, or IR3535. These types of sprays are more efficient at keeping the bugs at bay. Just remember to read all the instructions before using the spray. Don’t welcome mosquitos into your home. Use your air conditioning and keep your doors and windows closed to stave off the bugs. Additionally, inspect your screens to verify that there aren’t any holes, tears, or rips that could let a few mosquitos into your home. Fix any holes as soon as possible. The less skin you show, the less likely you’ll be to get bitten. Wear long sleeves and pants if possible to keep the mosquitos away. Take precautions and make your health and safety a priority this summer. Contact the professionals at Robert J. Los Insurance Agency to find you the right insurance. Located in Hamburg, New York, we serve all your personal and commercial insurance needs.